Audiobooks 101 for Narrators, held at Sound Post in Grand Rapids, Michigan. Blunder Woman Productions occasionally offers classes to those wishing to learn more about the audiobook industry and get some real-life practice. 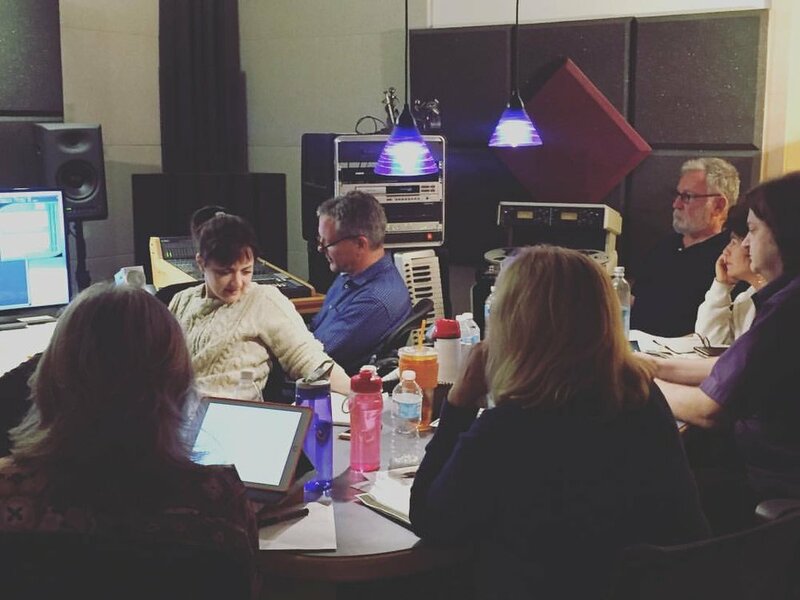 Recently, we hosted two classes for narrators wishing to get in the business and covered everything from how the industry works, what to include in a demo, and then gave on-mic practice to each participant, along with valuable coaching feedback from Tanya Eby and Amy McFadden. Tanya Eby will be coaching at VO ATLANTA in 2018. The conference runs March 1-4 in Atlanta and you can learn all about audiobooks from Tanya as well as other professional narrators, publishers, and dialect experts.